The ski resort of Mottaret is situated four kilometres up the valley from Meribel. At 1,700m Mottaret is one of the highest ski resorts in Europe and and if you want to make the most of your skiing time while in the Three Valleys it is the place to stay. Meribel-Mottaret does not have the nightlife of Meribel Town but a free bus service connects regularly. In Mottaret the favorite Brits drinking hole is the Rastro Bar over past Plattiers lift station. An Austrian style bar with great 70’s 80’s Music and the legendary 70’s night on Tuesdays which is always filled to capacity. On this night table dancing takes on a New meaning! (book a table for dinner to ensure you have one to dance on later). The Privilege disco in Mottaret centre is now under new ownership and much improved. Does not liven up till 1am. Mottaret Village consists mainly of purpose built apartments, but it also has one of Meribels finest hotels. This four-star property is one of Méribel finest hotels. Located in Mottaret at the base of the main lifts, it combines ski-in/ski-out convenience with excellent service and luxurious bedrooms and facilities. - 00 33 479 00 44 00 - www.hotel-montvallon.com. There is a choice of 11 Mottaret restaurants to suit all tastes and budgets. Traditional Savoyard food is the norm but most have a good choice of other international dishes. This is a new complex that comprises a sandwich bar, brasserie and restaurant at the base of the Mont Vallon lifts in Mottaret. There’s a vast sun terrace and the rustic brasserie serves traditional Savoyard dishes with a contemporary twist - think blue cheese fondue served in a cob loaf. Mont Vallon gondola, Méribel-Mottaret - 00 33 479 07 31 06. Delightful. Welcoming, with wonderful pizzas great fondue and steak tartar - Tel: 04 79 00 40 50. Out of the way so not always busy. but if you want a quick snack this is the place. Ski and snow board hire. 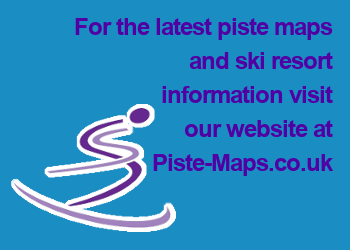 Ski and Snow board hire, right on the piste in Mottaret centre. Ski and snow board hire. Very friendly and helpful service from the younger members Of the Gacon family. Advance ski hire and snow board rental reservations possible by phone or e mail. Tel 04 79 00 41 12, Fax: 04 79 00 47 95. Skis and snowboards hire. Small friendly shop in the corner of the square - Tel. 04 79 00 40 86. Ski and snow boards hire, right on the piste, under The Hotel Mont Vallon. Ski and snowboards for rent. Large shop, with a cellar full of choice. Snowboard and Boot hire. Part of Superski it concentrates on the Snowboards for rent.